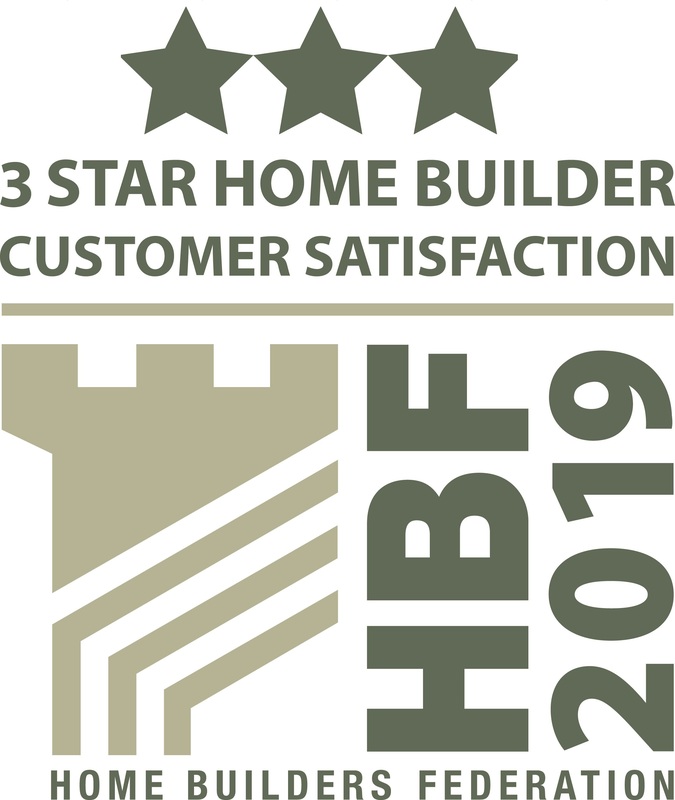 So the latest 2019 new home customer satisfaction survey results have finally been published by the Home Builders Federation (HBF) – six months after the survey year ended on 30 September 2018. 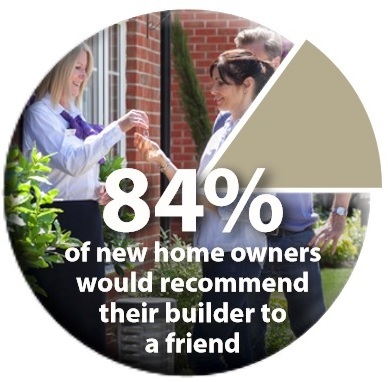 All HBF housebuilder members having known their current star rating and individual survey scores as they come in throughout the year via the NHBC portal. 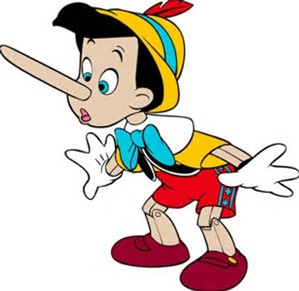 Taylor Wimpey and Bovis even crowed about their “achievement” in their annual reports last month. Persimmon has (again) pledged to improve its five year run of 3 star ratings, by announcing its 1.5% homebuyer retention last week. 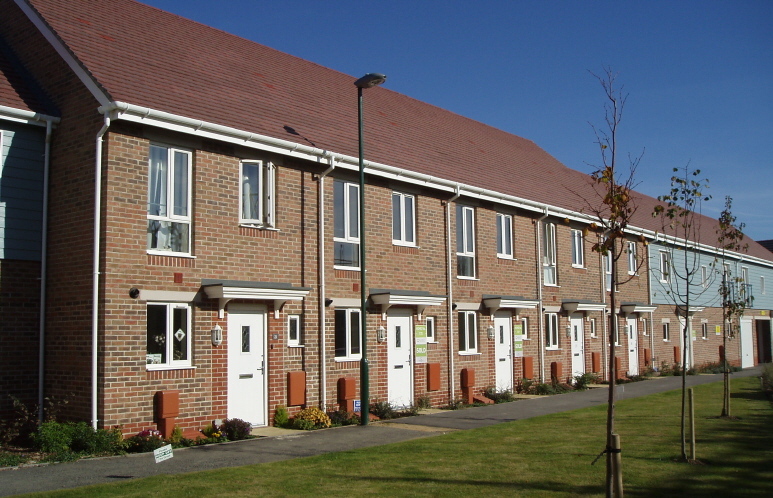 But do the general public take note of the housebuilder star ratings? Apparently not. On the face of it 16,449 still bought a Persimmon new home in 2018 despite its continuously poor star rating, with just 8,234 of these returning the survey! 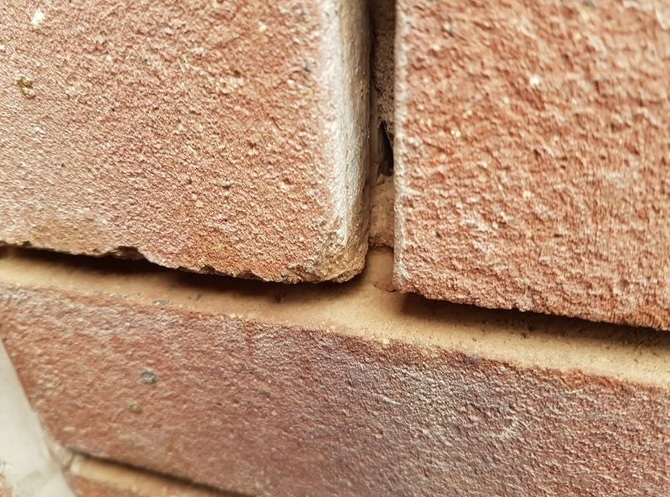 Amazingly, 7,404 buyers bought their new home from Bovis despite the builder being rated an industry low of just 2 stars in both 2016 and 2017. So why is this survey so important for the industry? 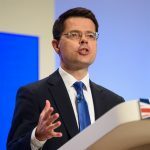 “more people happy with their new homes than ever” “new homes are built to a higher standard than ever before” when the reality is, this is a small increase over two years, from an all time low in 2017 (84%) and way below the all time peak of 91% in 2013 – results from the year before Help to Buy was launched! 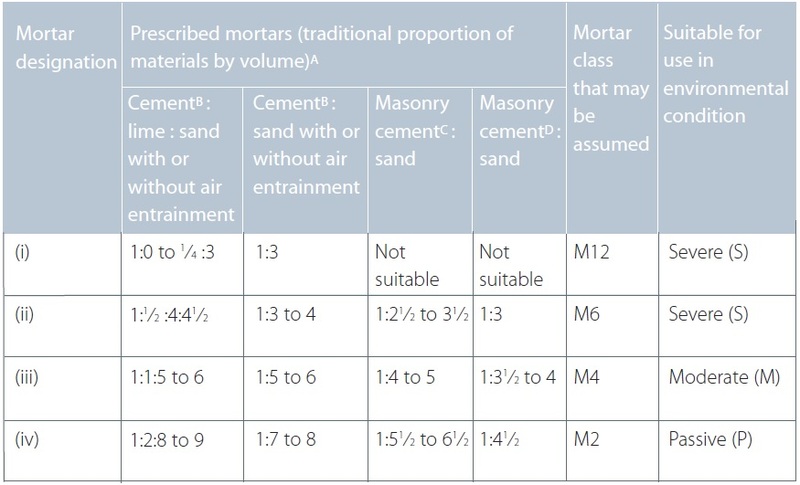 That is according to the HBF, who were apparently oblivious to the weak mortar issue in Britain’s crumbling new homes! The HBF have stated that the primary purpose of this 8-week satisfaction survey is to “provide data to rebut negativity” What other industry at the outset, designs a survey so it can rebut negativity? Surely the sole purpose of any customer survey should be to indicate unknown areas of weakness so these can be demonstrably positively addressed. 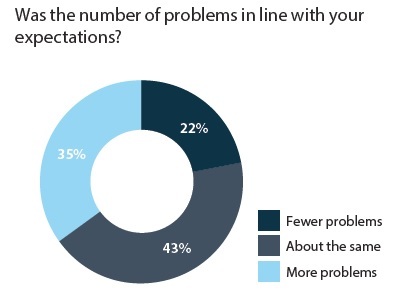 Not the HBF survey, where the HBF crows: “two thirds of those polled said the number of defects was in line with their expectations” Actually it was 43%, with another 34% indicating more “problems” than they expected. Again, in what other industry do consumers buy a product in the full and certain knowledge and expectation that it will be faulty? 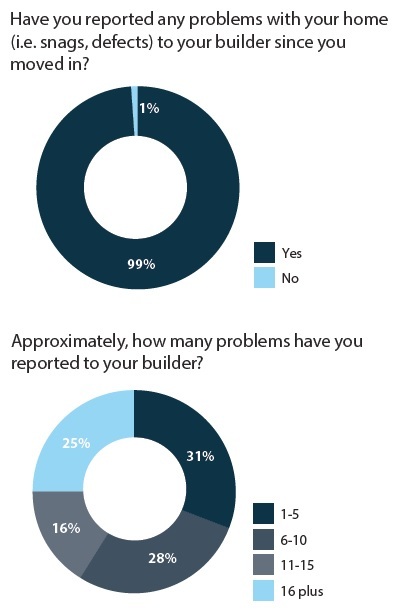 One survey response the HBF never care to highlight, one that cannot be easily influenced, is the indisputable fact that virtually all new homes have defects, with 99% of buyers surveyed reporting defects to their builder within a few weeks of moving in, and an increase this year to 42% reporting more than 10 defects! The HBF spins it “new homes are complex bespoke products and the number of problems (snags, usually minor such as paint drips, cupboard doors out of line etc) was in line with buyer’s [low] expectations” and “58% having less than 11 issues with their new home” Cigars all round, break out the champagne! Well not quite. 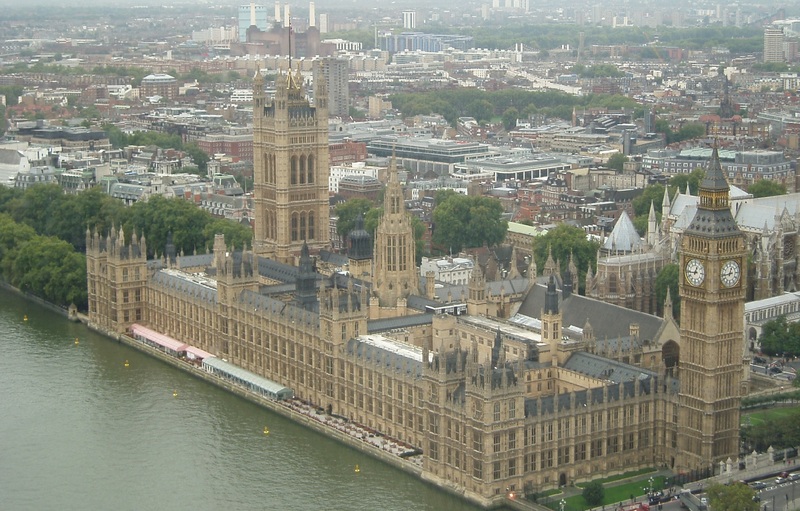 The Government has announced it is proposing to get tough on housebuilders that fail to deliver good quality and service. But whether James Brokenshire who spoke at the HBF Annual Conference and would do well to distance himself from this broken industry, is daft enough to use the industry’s star rating as his yardstick remains to be seen! 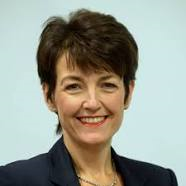 Government need to take a much tougher stance against the industry wolves dressed in Granny’s nighties (covering up everything) and avoid being taken in like Little Red Riding Hood, by their meaningless pledges, promises and plastic PR spin. 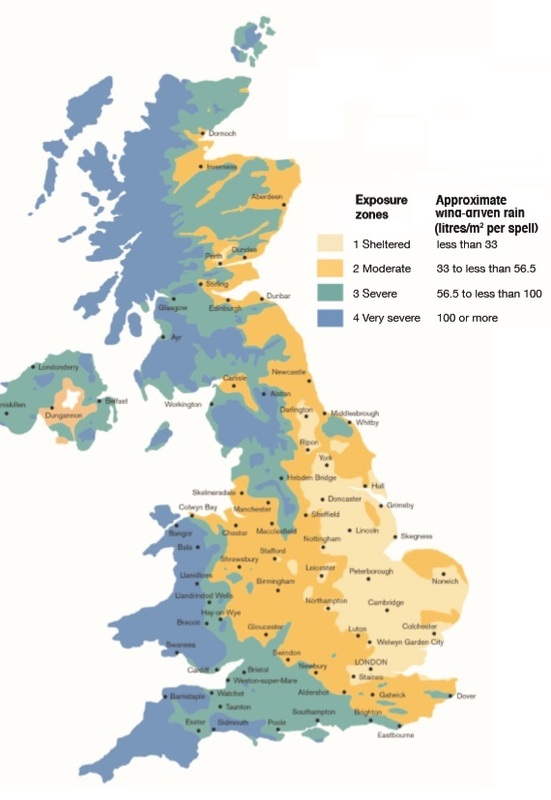 New cars are also “complex bespoke products”, some models have around 1,000 different customer options yet they are routinely, delivered to the customer defect-free having been inspected many times, both during and after manufacture. Those collecting the keys of a new car would be horrified to discover “misaligned doors and paint drips” defects which the HBF attempts to state as “usually minor” but nevertheless, are not inspected, checked or eliminated, being left for the customer to discover by the profit-driven industry the HBF serves and promotes. So its congratulations to Russell Armer Homes awarded a 5-star rating, this from only 20 of their customer’s survey responses! No doubt contributing to: “This year’s further improvement is a clear demonstration that the intense focus within the industry on build quality..” so spins the HBF. It is interesting to note the percentage “sample size” of buyers returning the survey/answering Q1 for the main plc housebuilder has fallen dramatically this year to an average of around 44% of total homes built. 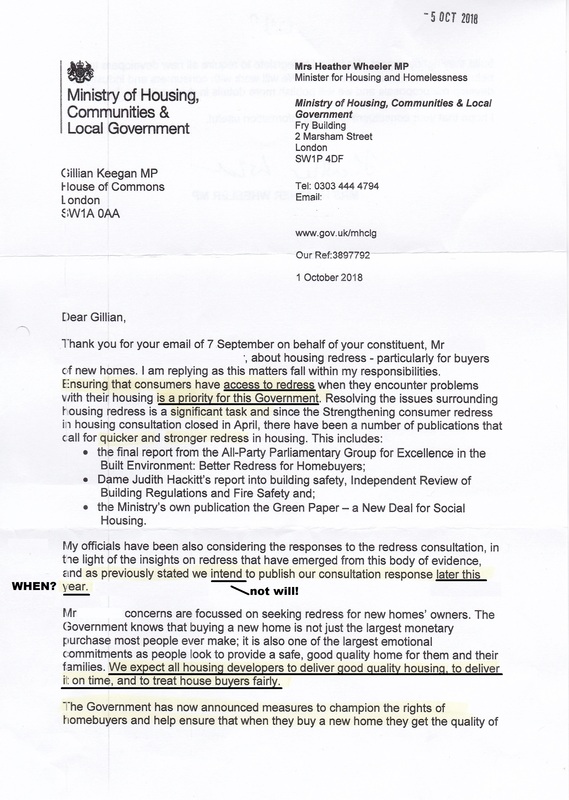 The stated ‘sample size’ for each housebuilder totals 48,001, this despite 60,955 surveys being returned. 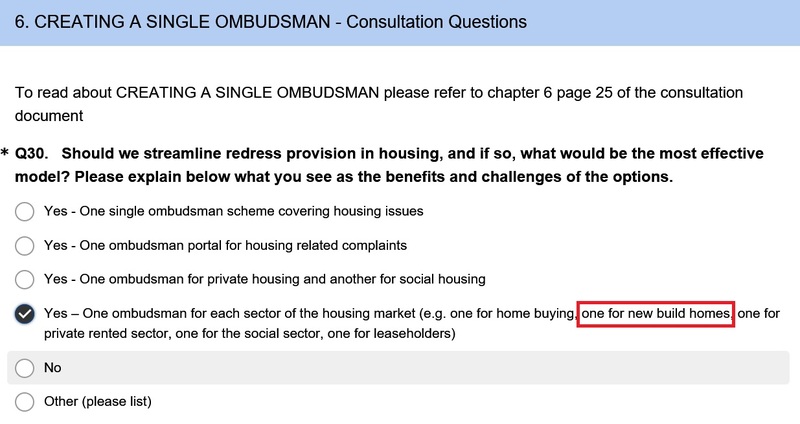 Perhaps many of those dissatisfied buyers, badgered and threatened by housebuidler’s to complete the survey form favourably, believed they would hurt the housebuilder more by not doing so, rather than completing to survey to reflect their discontent. “I never got a questionnaire for a survey. Wonder how they were selected. 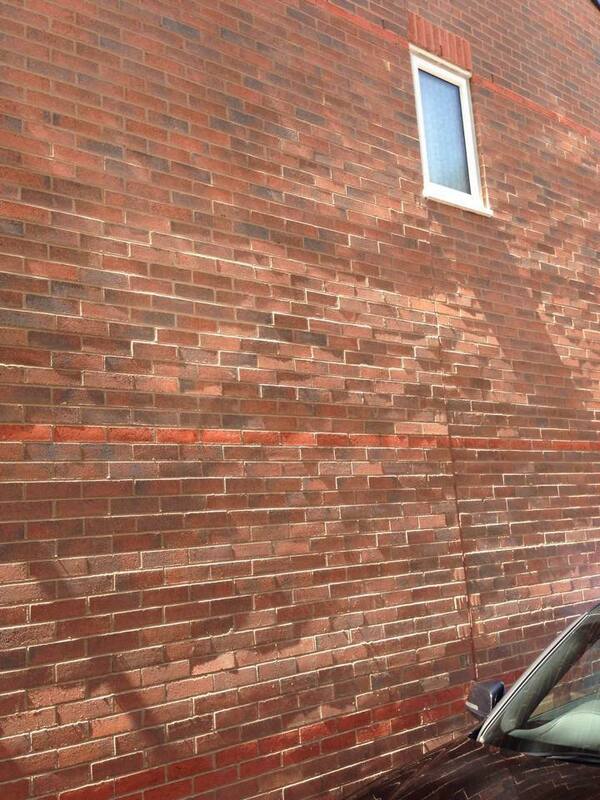 I did have great fun completing my 2nd NHBC survey about Persimmon though!” “Intense focus on build quality” HBF? 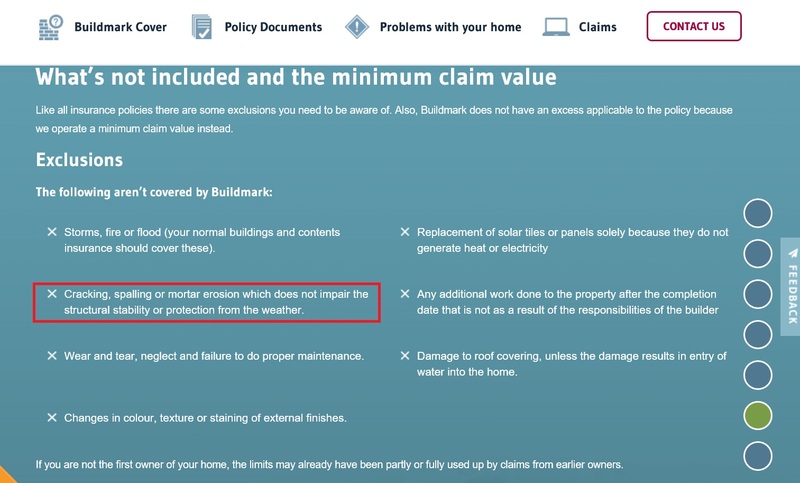 For those that do get notification codes from the NHBC, the survey can be completed online here But many new homeowners find out after they move in that broadband is painfully slow or in some cases, non-existent. In 2016 I asked the HBF why the total number of surveys “sampled” for the Star Rating was less than the number of surveys returned? This year it was 78% of the total. It would seem that more and more surveys are being sampled out! Why there is a need to sample at all? 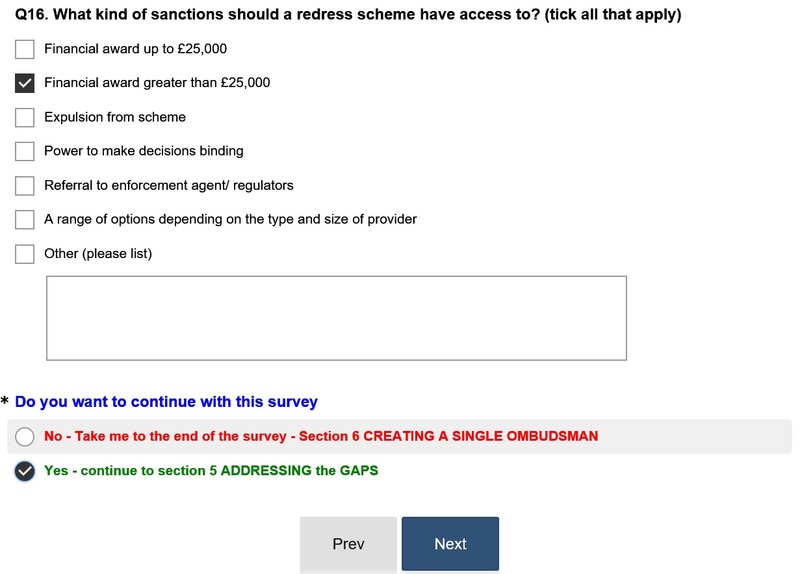 Surely all the surveys responses can be counted? 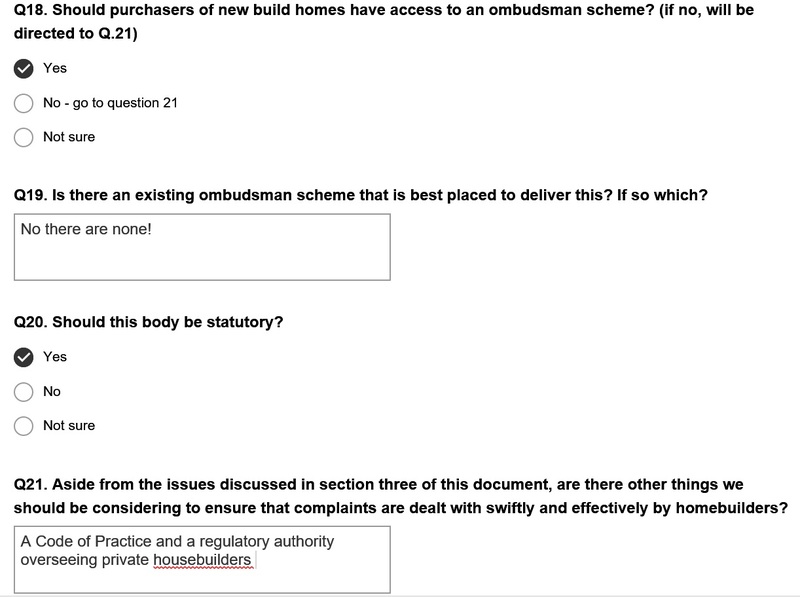 In 2011, I asked the HBF why it did not publish individual builder results for every question? No surprise there! 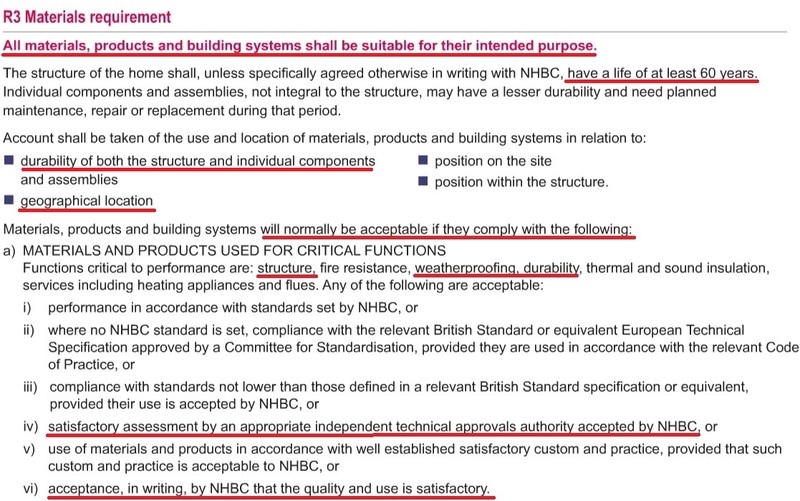 The industry also keep the results of the NHBC 9-month survey under wraps too, no doubt for similar reasons. 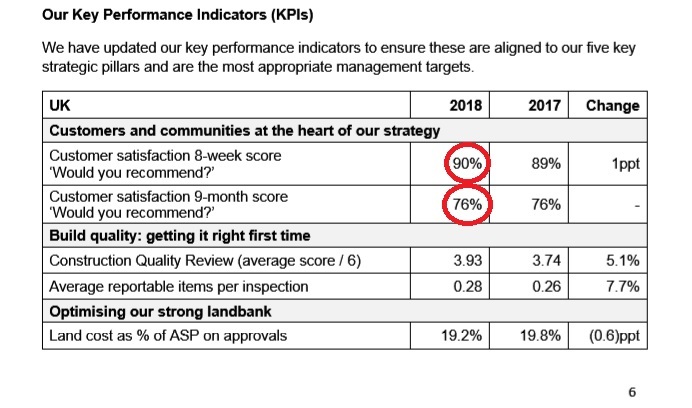 The NHBC told the an APPG Inquiry in 2015: “The NHBC 9-month customer satisfaction survey scores generally 5-10% LOWER than the HBF 8-week survey” This year Taylor Wimpey indicated that its overall satisfaction star rating score at nine months was 76% – 3 star territory, 2 stars and 15% below their official 5-star rating. In the halcyon years of “customer satisfaction” 90% in 2012 and 91% in 2013 with the number of surveys returned were 23,778 and 29,330 respectively. 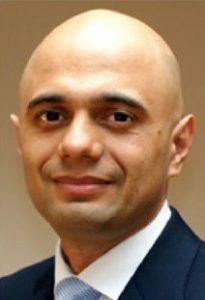 The financial crisis was in 2008 and housebuilders reduced their production between 2009 and 2012. 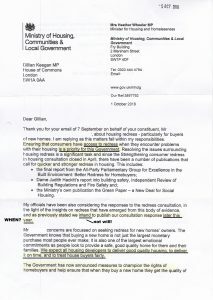 This was ramped up in 2013 when the taxpayer-funded Help to Buy gravy train was launched and plc housebuilders had pound signs in their eyes. 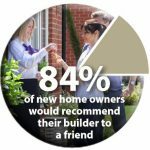 “The survey proves conclusively that the people who buy and live in new build homes are overwhelmingly happy with their purchase. There has been a huge focus on quality and service across the industry and this is reflected by successive annual improvements across all question areas. “The intense focus on quality and service, allied to a huge recruitment and training campaign has enabled builders to further raise standards whilst increasing output. 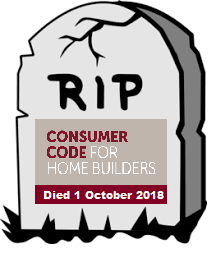 New build buyers already have far more protection than second hand buyers with the security of a consumer code and ten year warranty. Quite how the likes of Mr Baseley sleep at night after saying those statements I don’t know! His HBF even have the nerve to use the creation of the statutory new homes ombudsman, (that I campaigned 5 years for) as a marketing tool “further enhance build quality and consumer protections for new home buyers.” Build quality is at best poor and those buying a new home have no “consumer protections” at all as many thousands have discovered to their cost! 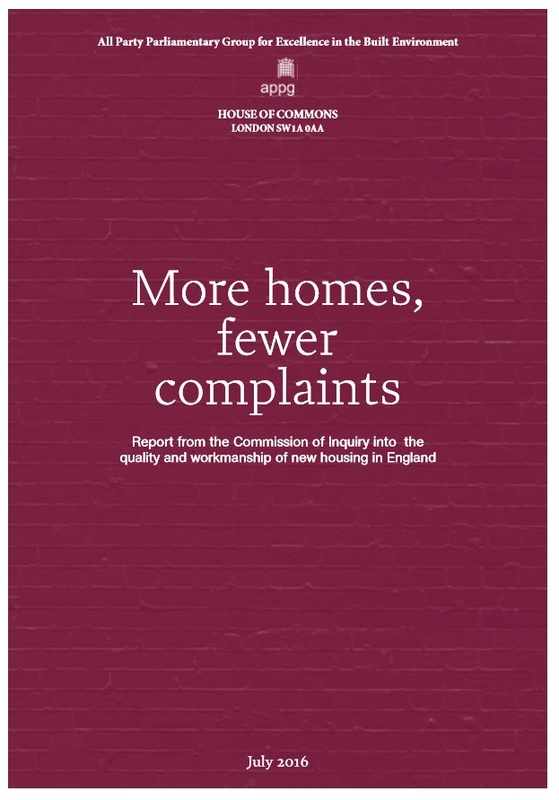 This is precisely Why a statutory new homes ombudsman is being set up! 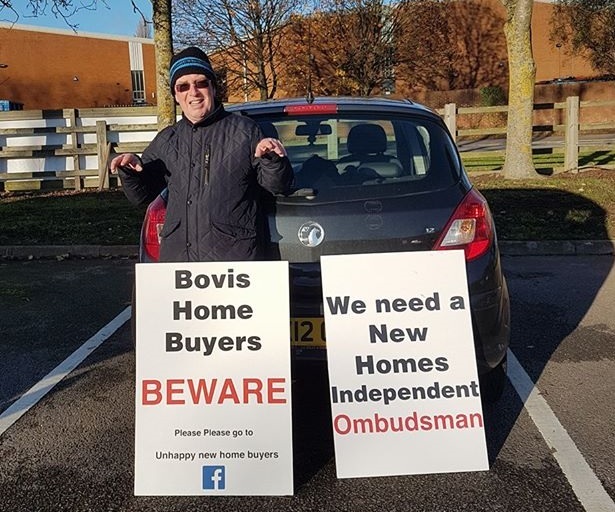 The HBF must not be allowed any opportunity to weaken the new homes ombudsman powers and effectiveness. The HBF has recently announced it is teaming up with charities to provide support and highlight mental health amongst construction workers, with 400 taking their own lives last year. A construction worker is now 10 times more likely to die through suicide than a fall from height! Many mental health issues originate from bullying and the unrealistic production demands by site managers, contracts managers and regional construction and managing directors, who in turn face similar from the main board directors in their pursuit of every increasing completion numbers and record profits for their dividend hungry shareholders. 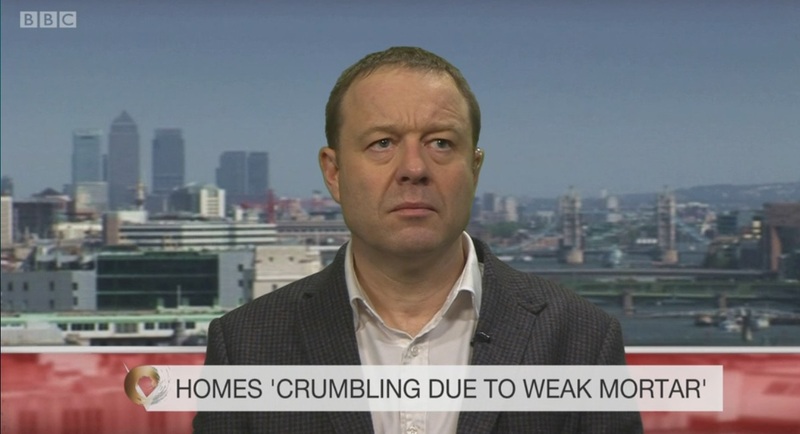 Those affected will no doubt be delighted by the Building Mental Health Framework and the £100,000 the whole housebuilding industry has donated to the charity and the 24/7 helpline! 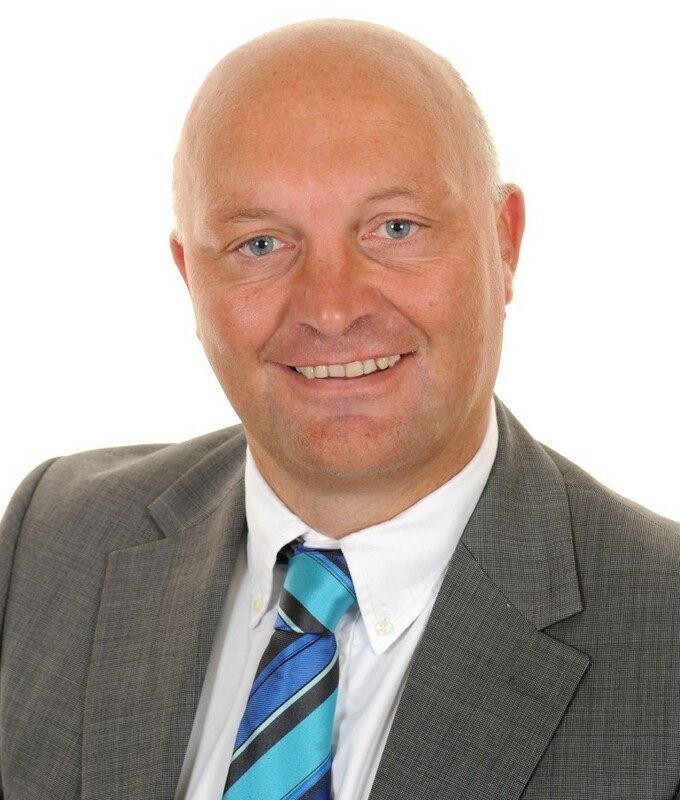 But the irony is, a great many new homebuyers suffer mental illness too, becoming drained as a result of engagement with indifferent housebuilders which for some, the mental anguish is unbearable as they try to cope with the daily frustration and dealing with plc housebuilders and their broken promises. HBF survey results 2017. After a long and unexplained delay, the Home Builders Federation (HBF), with an income of over £3million (2015), mostly funded by its member housebuilders, finally published its annual New Homes Customer Satisfaction Survey Results and house builder star ratings for 2017 late yesterday. 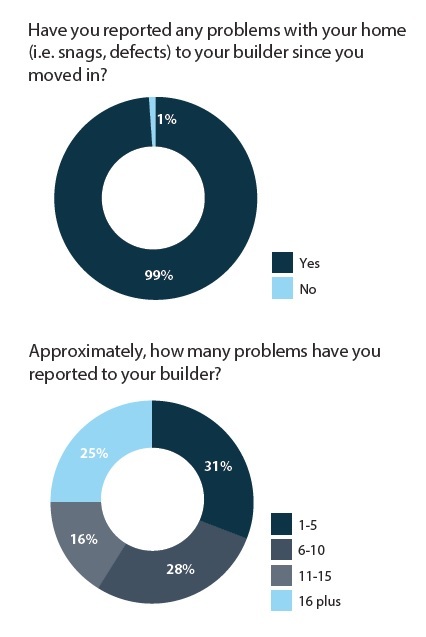 Unlike the rest of us, housebuilders have known their scores throughout the year in real time, thanks to the NHBC online portal providing monthly updates on just how their customers are rating them. So why the delay HBF? 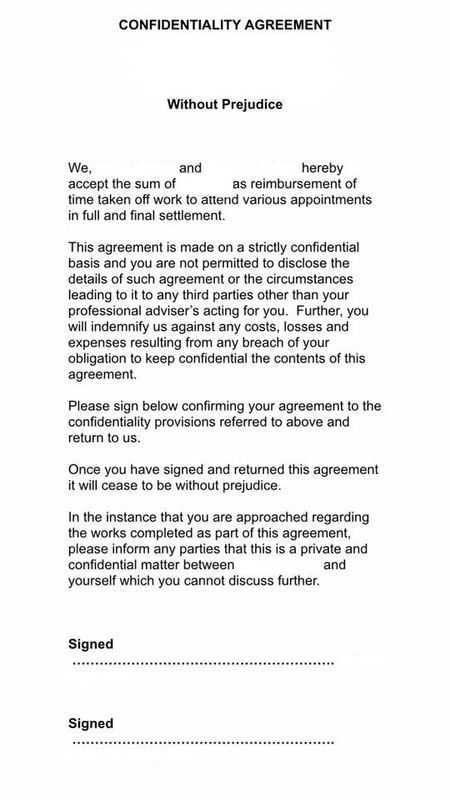 What possible reason could there have been for requiring a total of 12 weeks, two more than in 2016, since the last customer responses for the HBF survey year to 30 September 2016, were received on the 14 January 2017 cut off? By strange coincidence, it was the same day that Article 50 was triggered, making it unlikely the poor survey results would get any media attention with all the Article 50 coverage. Did the HBF decide it was a good day to bury their bad news? Perhaps calculations were being done to effect an overall more favourable impression of customer satisfaction with new homes. 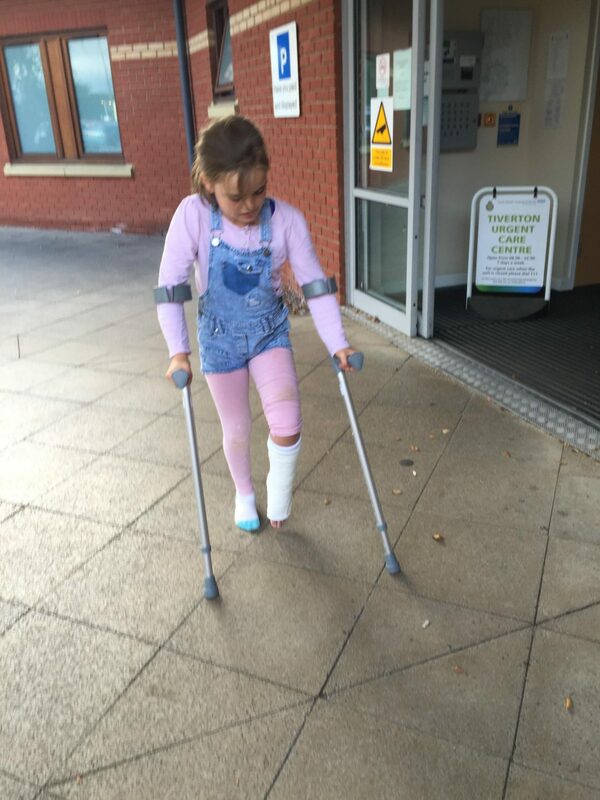 Perhaps there were discussions about including late, more favourable surveys and ruling out unfavourable responses on the grounds of invalidity? Perhaps the PR spin was more difficult to write this year? Who knows? Certainly not me. 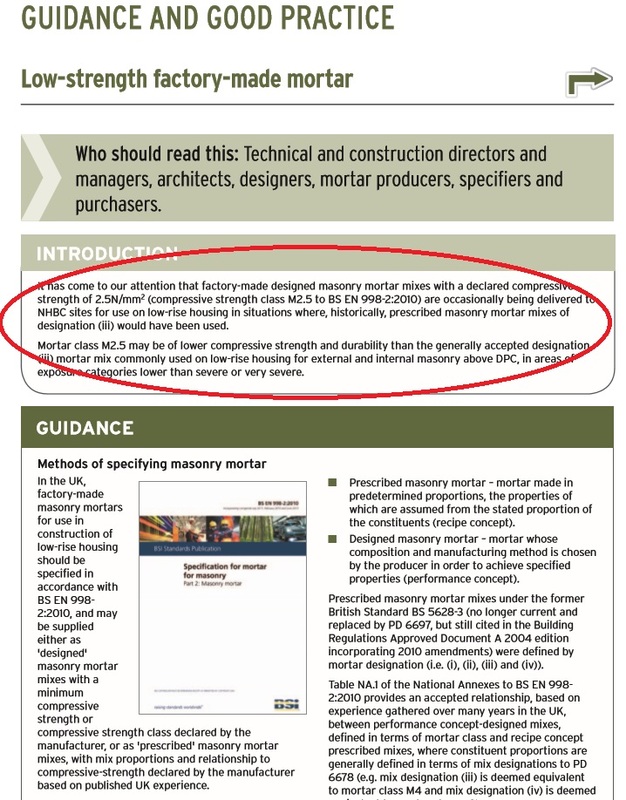 Even though the HBF Chief Executive Stewart Baseley stated on national radio just last month that he is “a great believer in transparency”, the HBF survey remains a mystery to all but those involved in its carefully scripted questions and the statistical “methodology set out by the NHBC themselves” used in the analysis and validation of the survey by the University of Reading’s Statistical Service Centre.